We are saddened to share that long-time member of the BORP family, Kathryn “KB” Black, passed away on Friday, September 1. 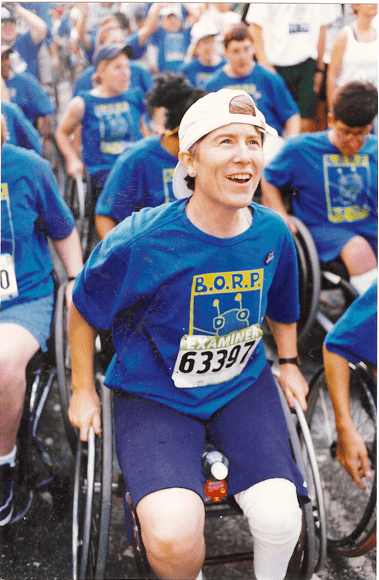 KB believed deeply in BORP’s mission of creating opportunities for kids and adults to enjoy adaptive sports and recreation and her support and involvement over the years impacted the lives of countless BORP participants. As BORP’s Co-Coordinator of the Children and Youth Sports Programs from 1993 to 1995, KB focused on the development of BORP’s power soccer team. She organized local tournaments and arranged travel for the team’s trips to away tournaments, including a trip to Canada. She also assisted Tim Orr, founder of BORP’s Youth Sports Program, with the wheelchair basketball and track & field programs, and in 1994 she was honored with BORP’s Coach of the Year award. From 1990 to 1998 Kathryn was a member of the Bay Area Meteorites Women’s Wheelchair Basketball Team. In her first year, she was a member of the 1990 Gold Cup and Pan American USA Women’s Wheelchair Basketball teams. In 1994 she was again on the Gold Cup Team and was an alternate on the 1996 USA Women’s Basketball Team. She was inducted into BORP’s Hall of Fame in 2016. KB left BORP in order to pursue a Masters degree in Occupational Therapy with a focus in pediatric but continued to stay involved as a participant and supporter for the rest of her life. KB participated in every Revolution event and she will be greatly missed at this year’s REV. We are honored that her family and friends will ride in honor of her life and with the goal of enriching others this year. But as a kid growing up in San Lorenzo, CA, Kerry says she didn’t enjoy team sports or think of herself as athletic. “When I would play sports as a kid I never felt supported by my team.” Then when she was a teenager, Kerry’s doctor told her that had limited time left on her knee and at age 16 she had her first surgery. “I wanted a better story,” she says. And so she started running and at 24 she ran her first half marathon. “My doctor told me I had to stop if it hurt. So I knew I would finish.” Over the next several years Kerry would go on to run thirteen half marathons and one ultra-marathon (31 miles). She also began transitioning to using a wheelchair. 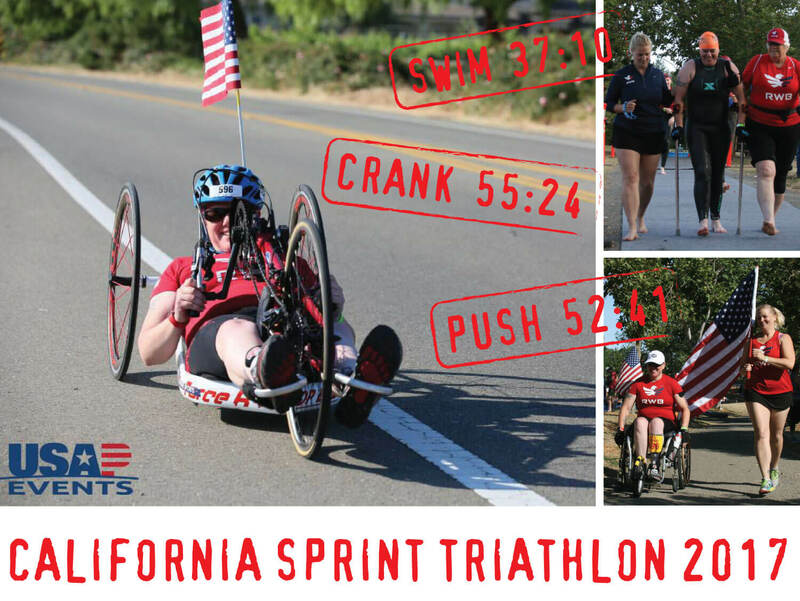 In 2015 she received a Challenged Athletes Grant to compete in her first triathlon. “I always wanted to do one…” she said. A friend modified her standard bike so that she could pedal with one leg and she started training. But during the event, she realized that the bike modification wouldn’t work for her, and she struggled to finish the race. But she did finish. As Kerry’s ability evolved, she learned new ways to adapt the sports she had grown to love. Today she has completed eight triathlons, competing both individually and as part of relay teams, using a hand cycle and pushing the runs. BORP’s 2017 Opening Day will be on Saturday, September 9. Click here to RSVP to this free event. Today Kerry is training for another triathlon and a half marathon. She’s also planning to start competing in archery, plays basketball at BORP as often as she can and plays sitting volleyball and lacrosse.